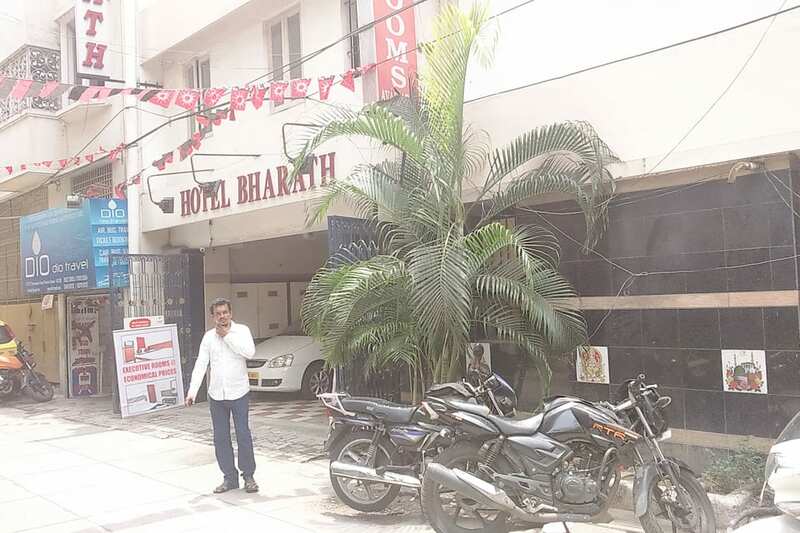 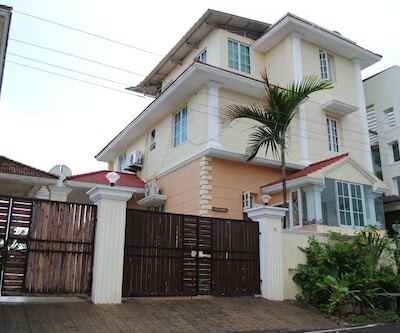 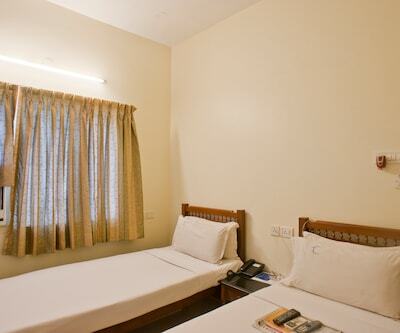 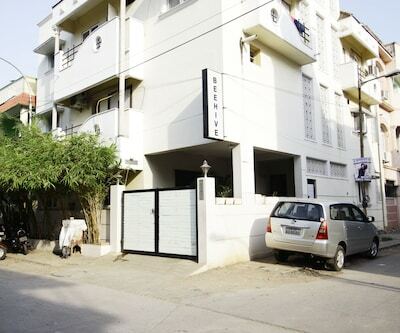 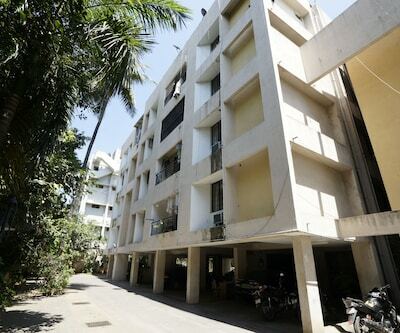 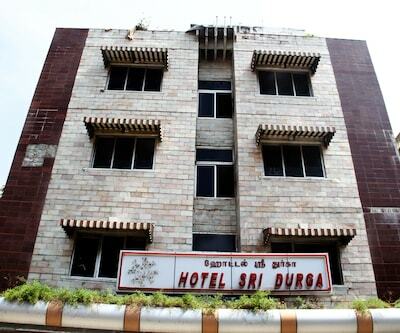 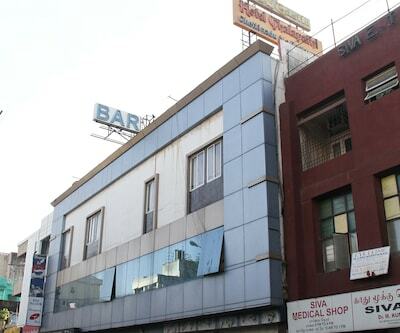 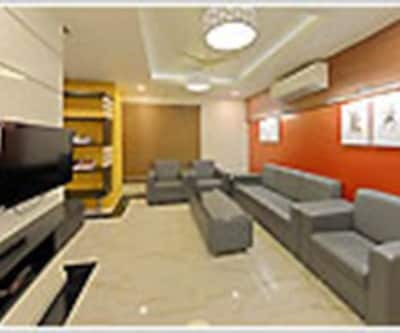 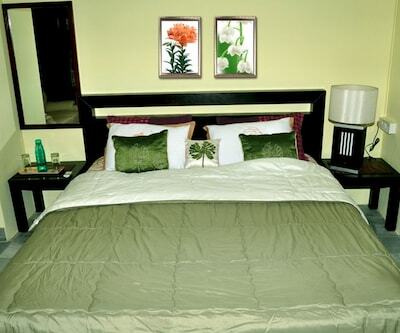 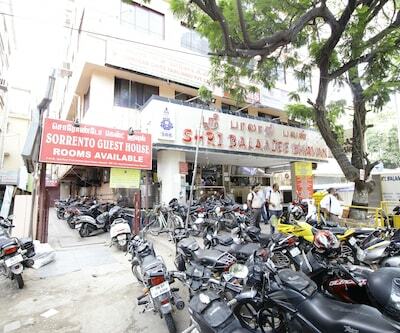 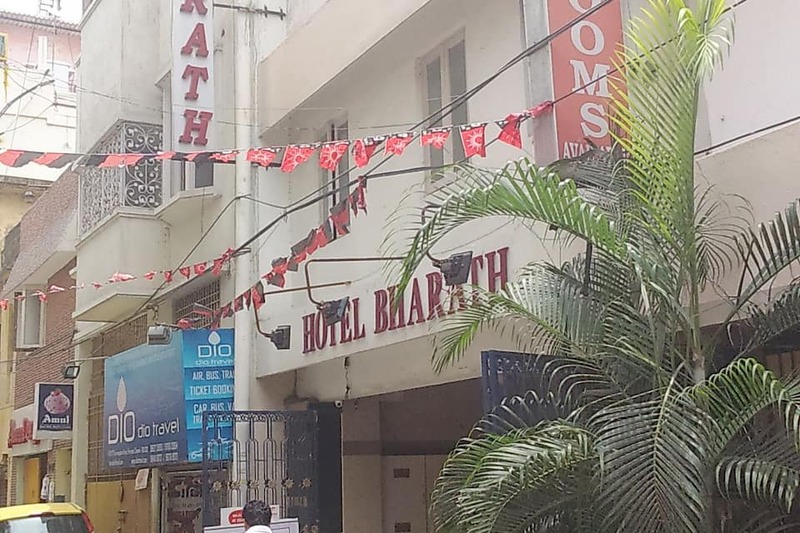 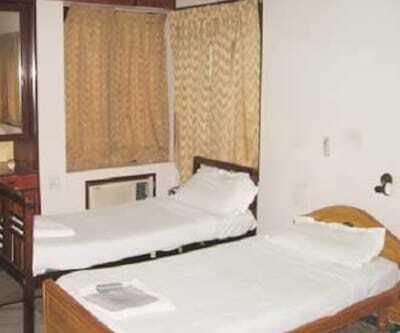 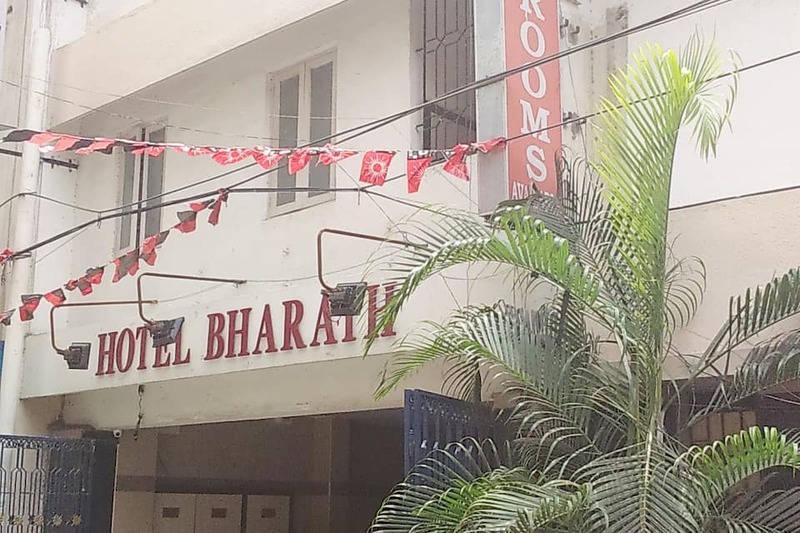 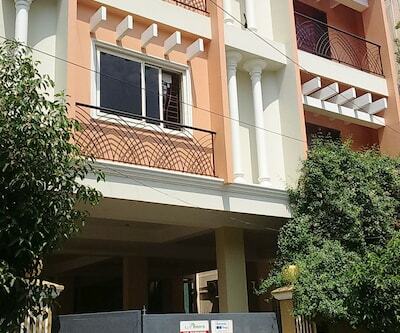 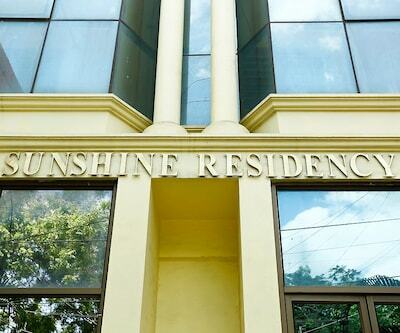 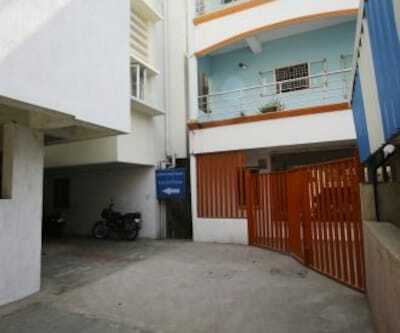 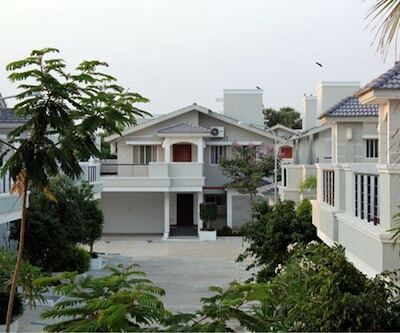 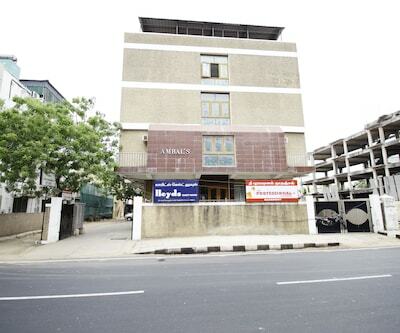 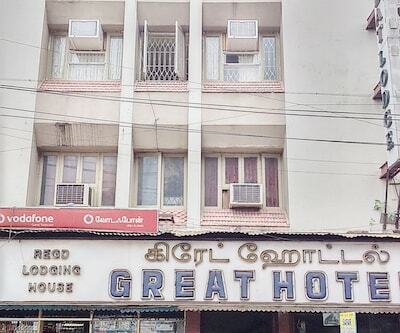 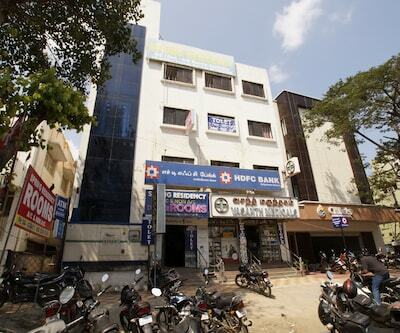 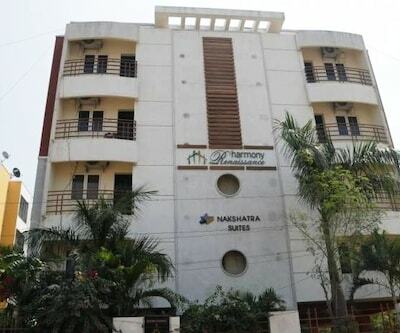 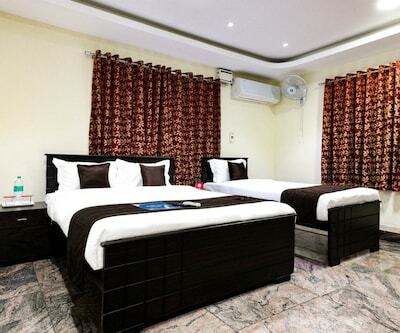 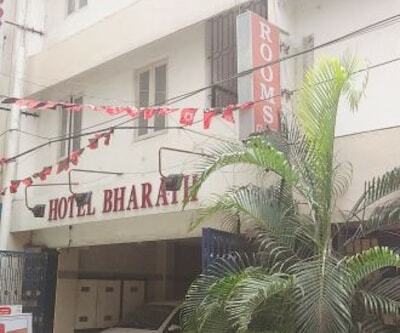 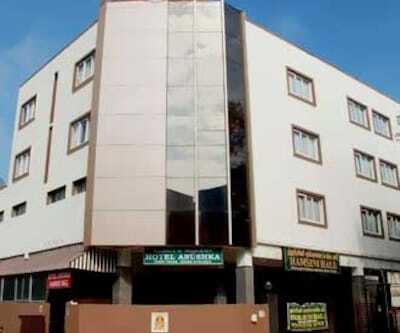 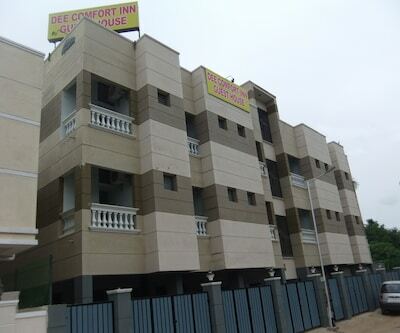 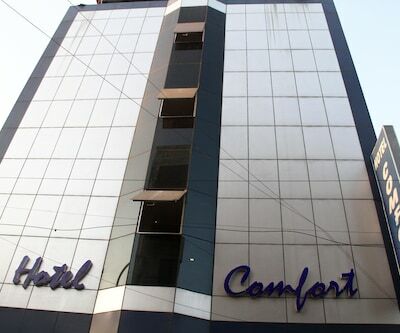 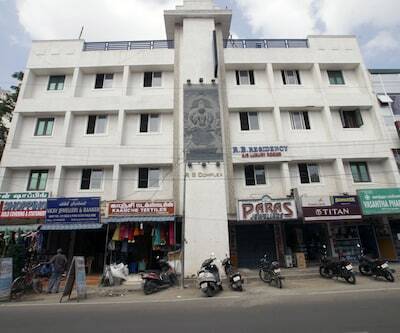 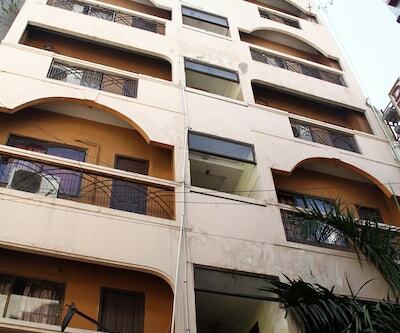 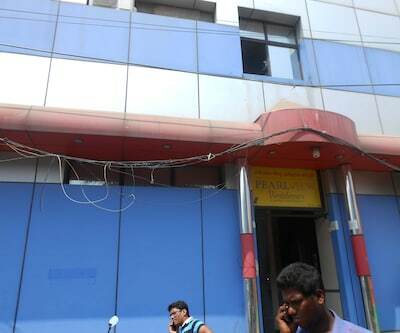 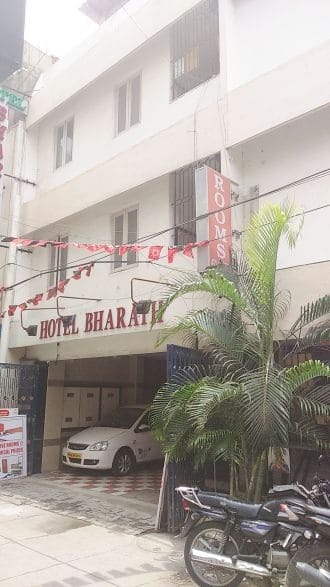 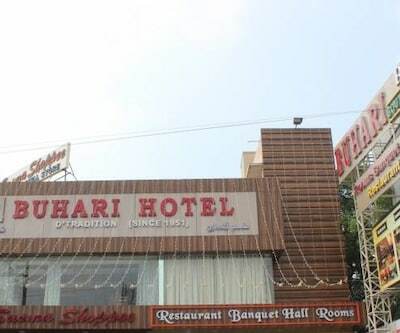 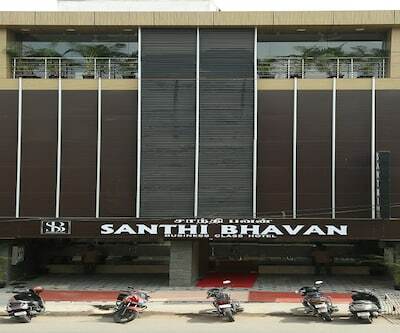 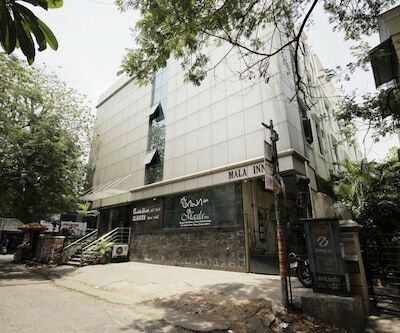 Located at 1 km from the Chennai Suburban Railway Station, Hotel Bharath is a budget accommodation in Chennai. 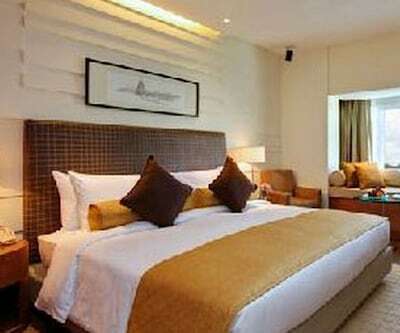 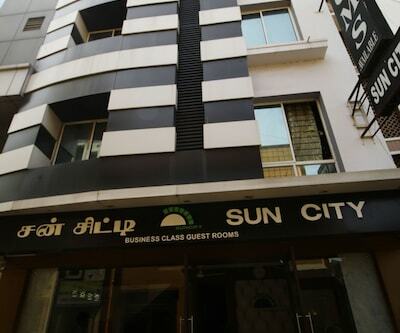 It offers its guests access to Wi-Fi internet. 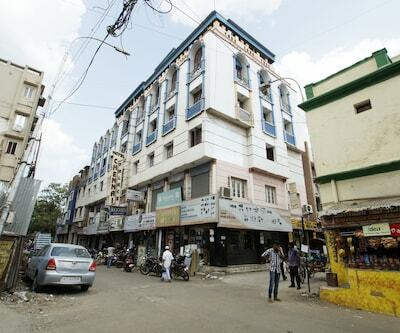 The Moore Market is at 2 km from the hotel.The 3-storey hotel has 26 rooms. 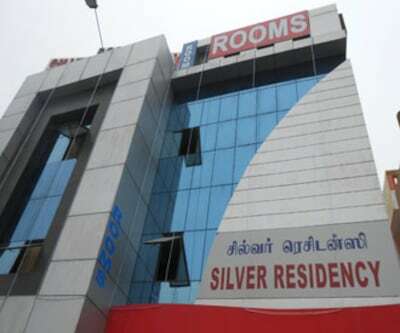 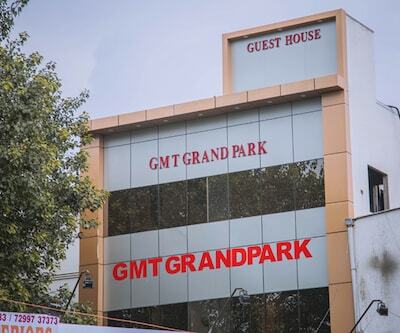 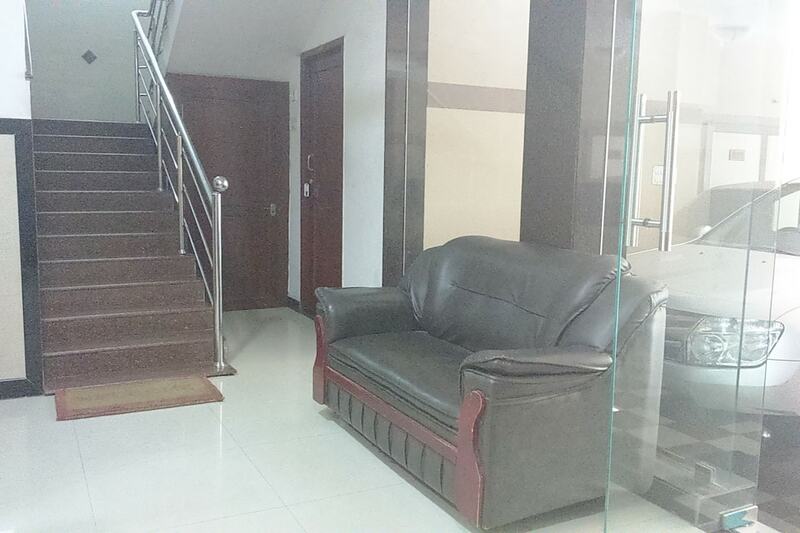 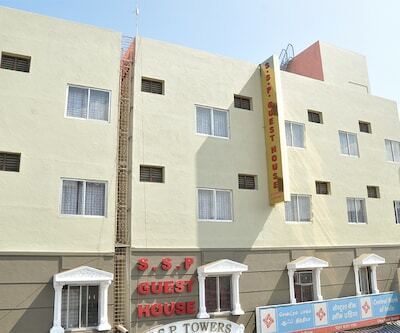 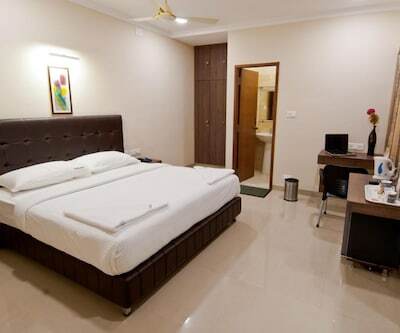 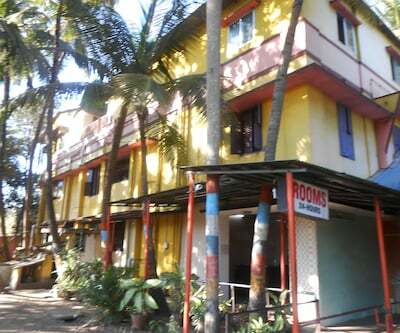 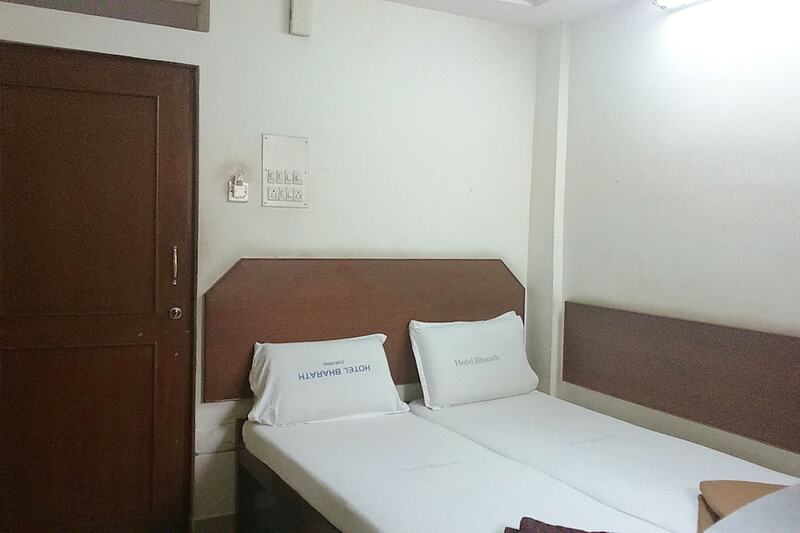 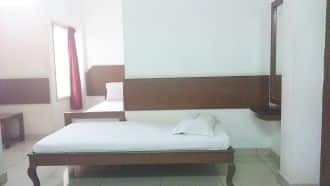 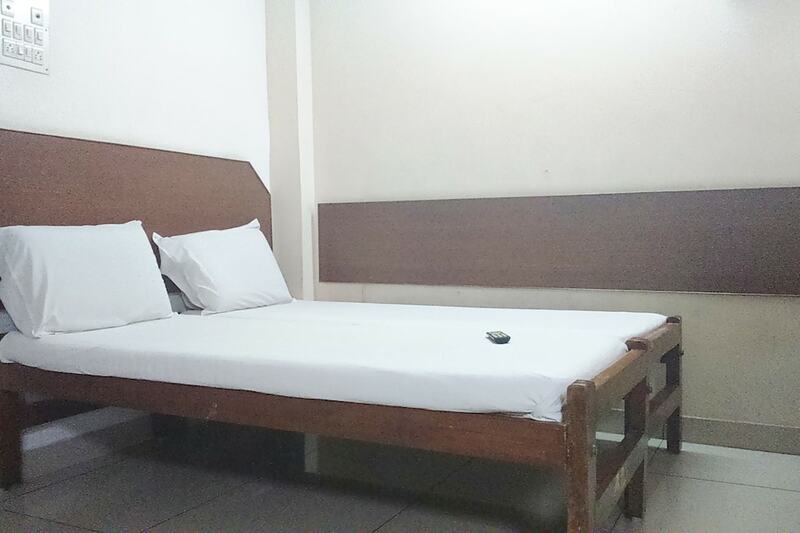 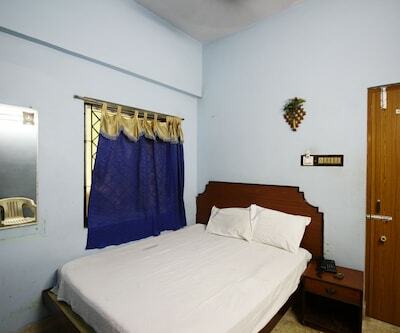 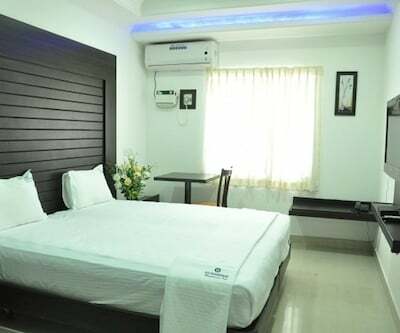 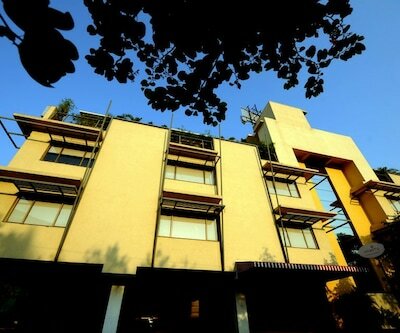 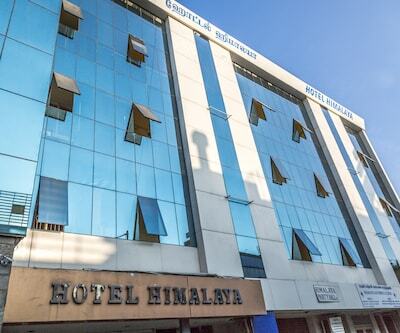 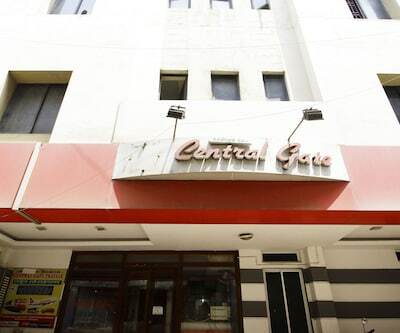 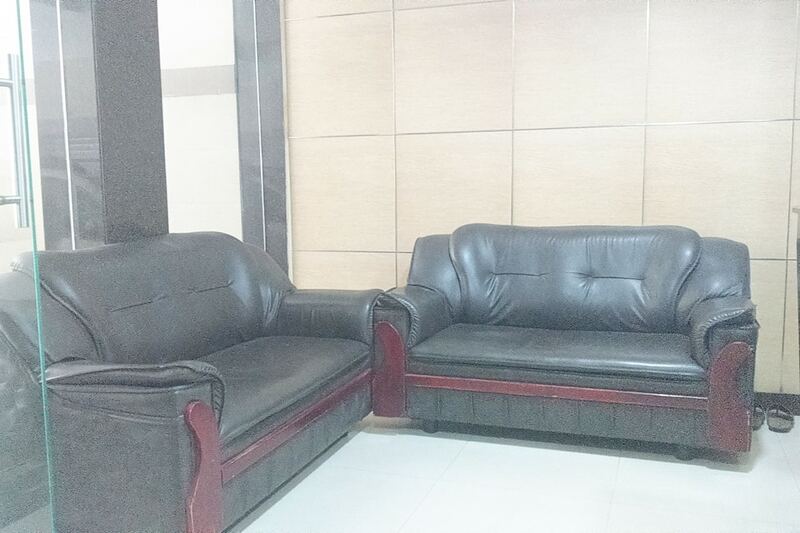 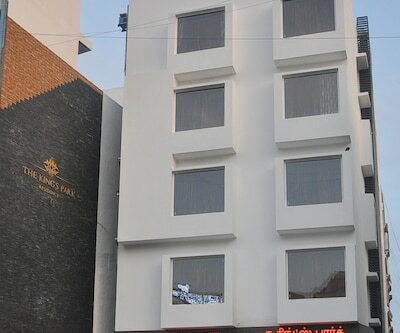 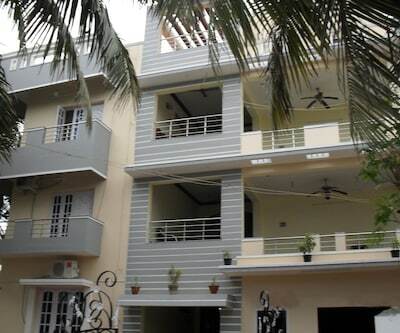 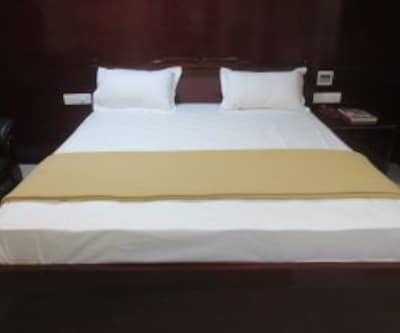 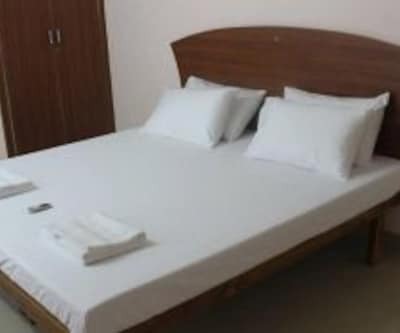 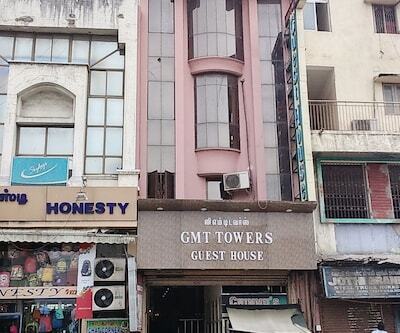 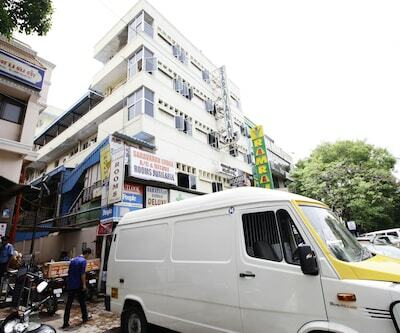 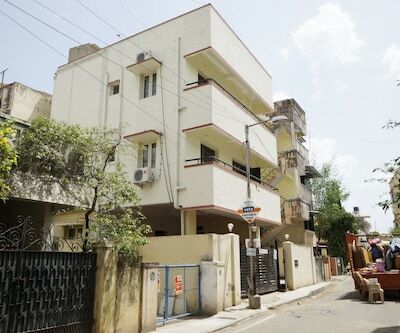 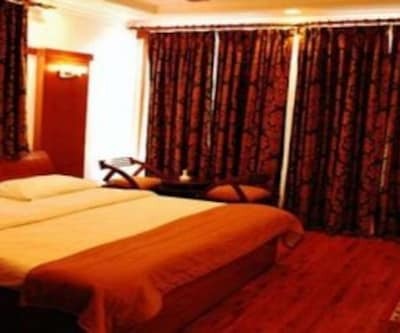 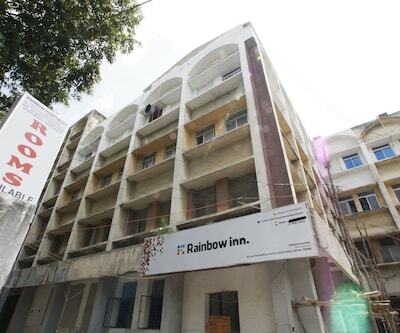 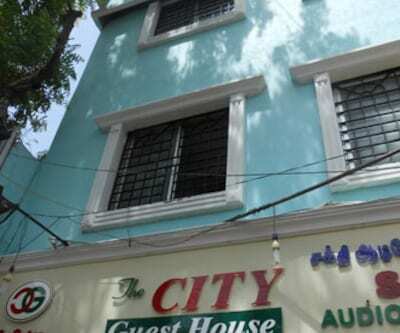 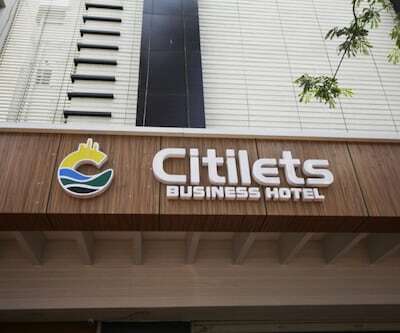 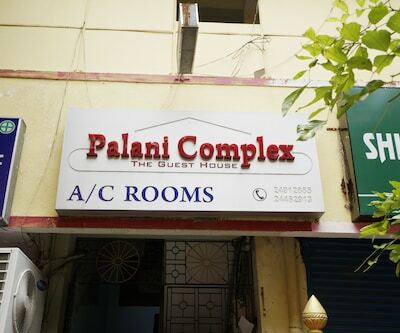 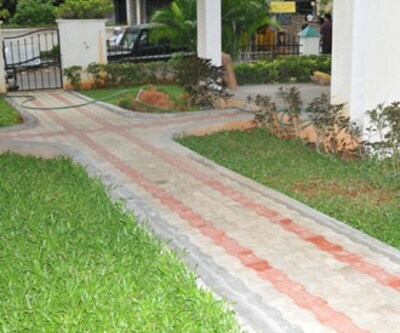 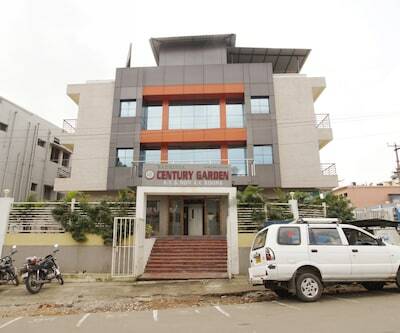 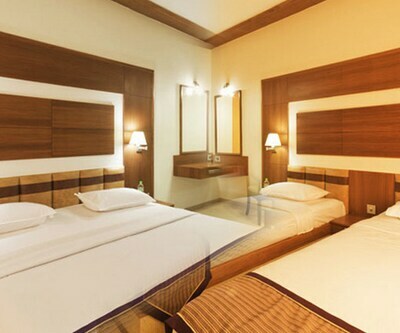 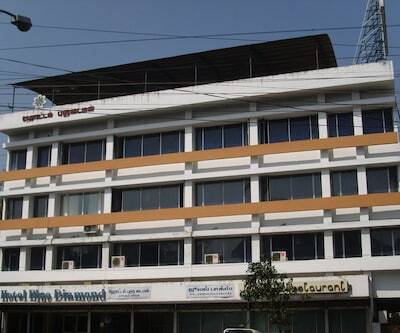 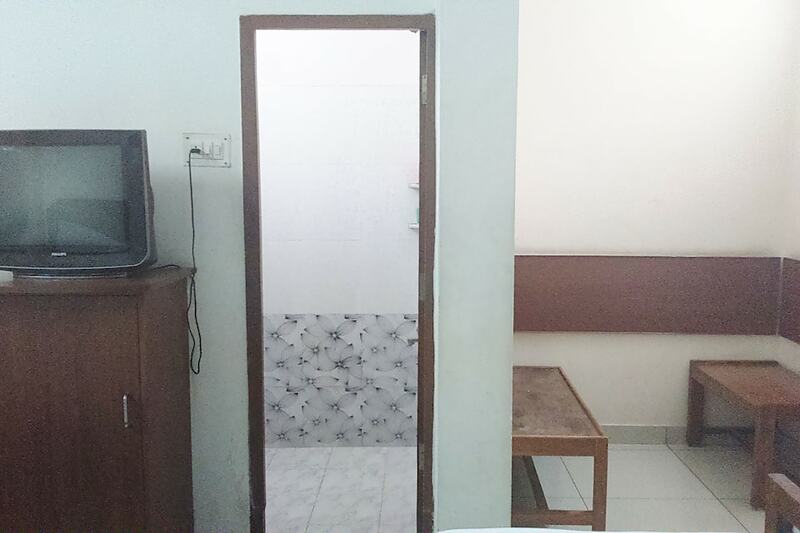 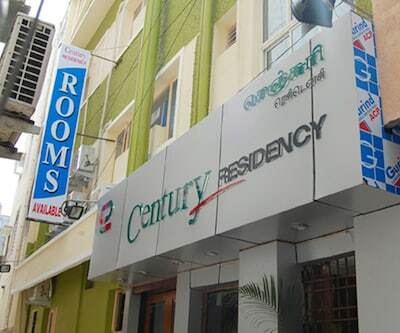 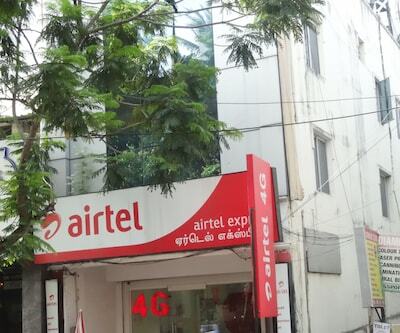 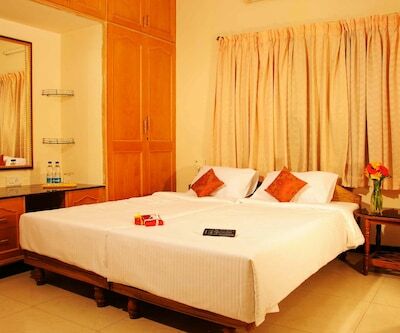 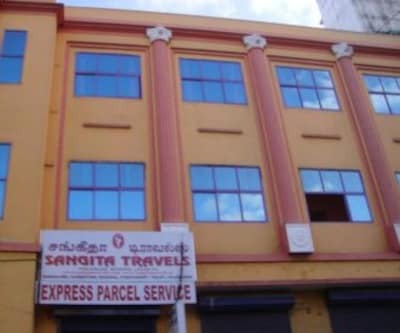 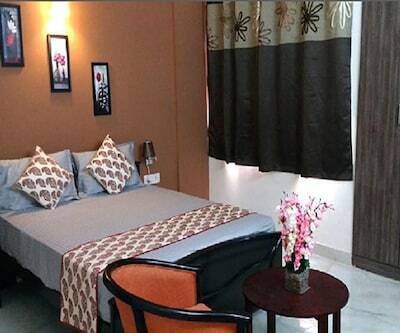 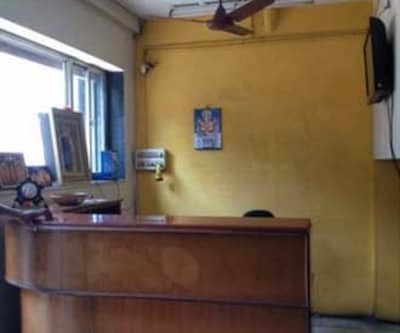 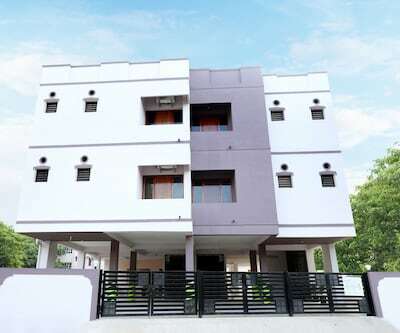 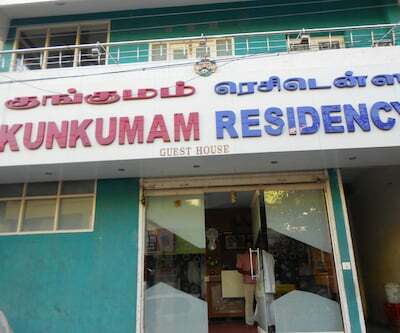 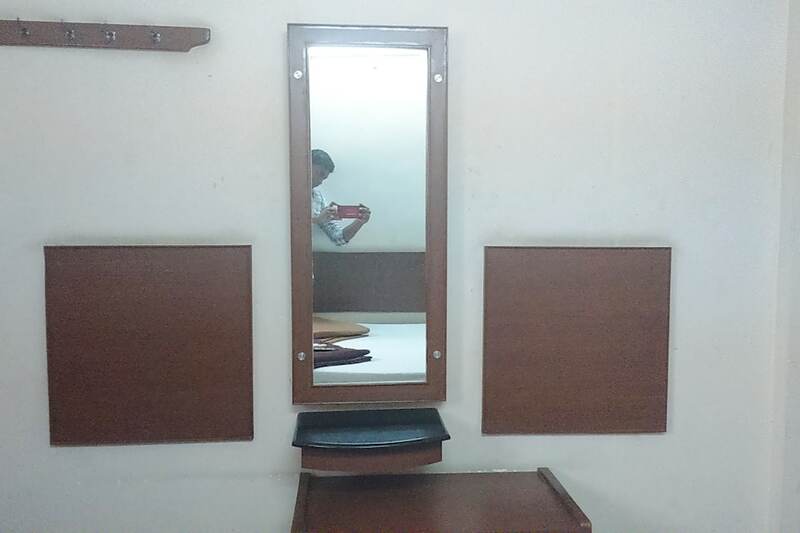 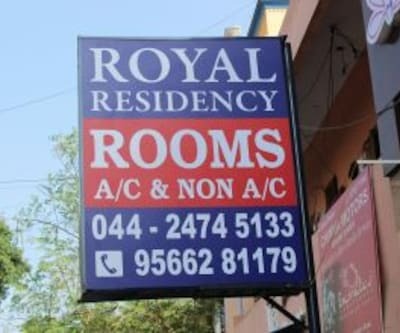 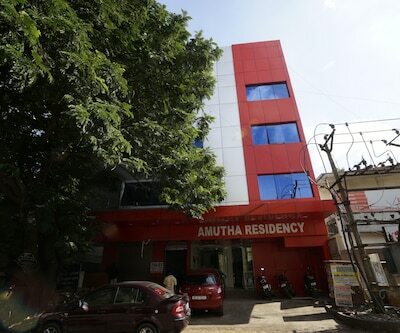 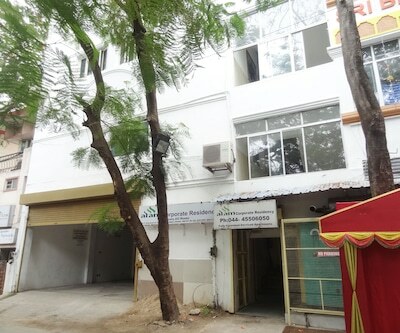 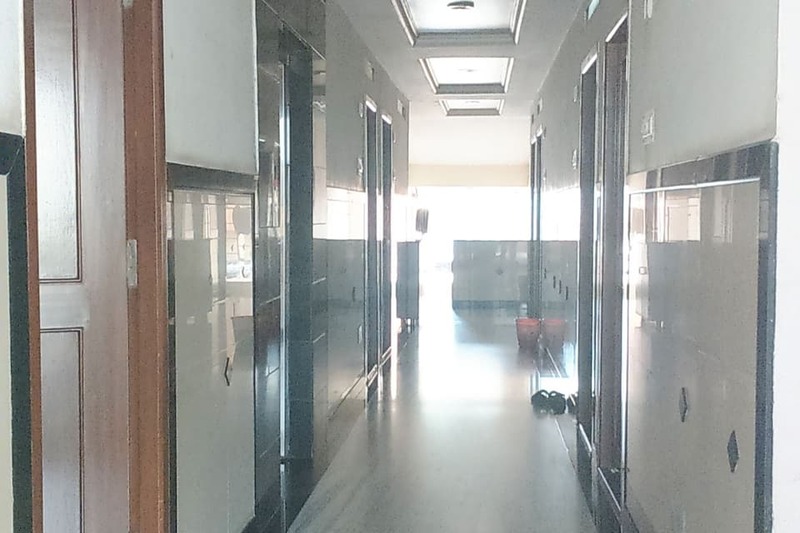 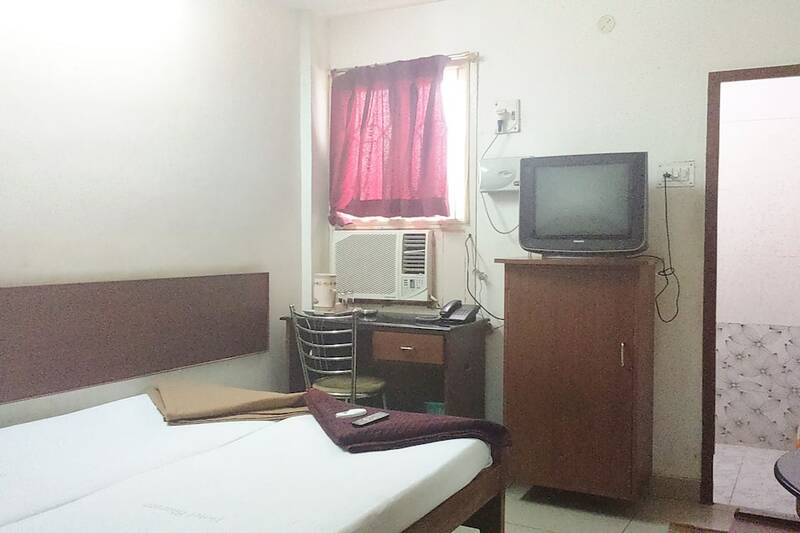 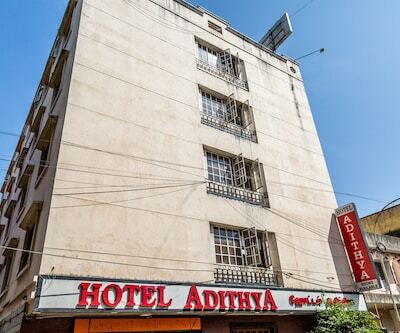 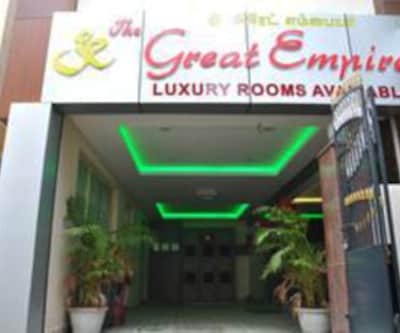 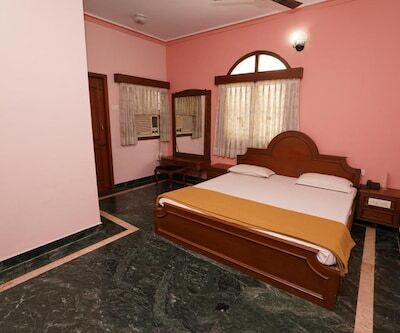 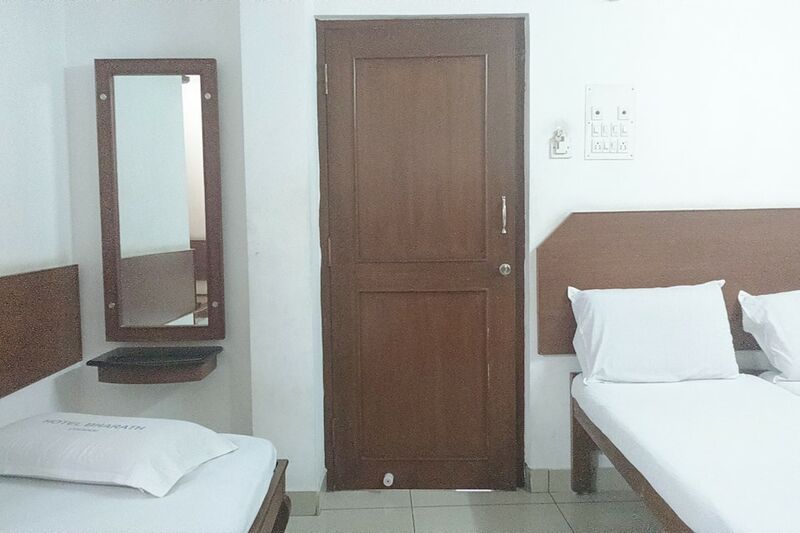 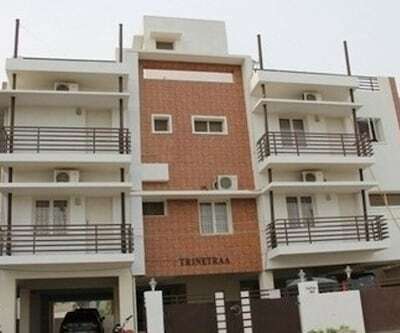 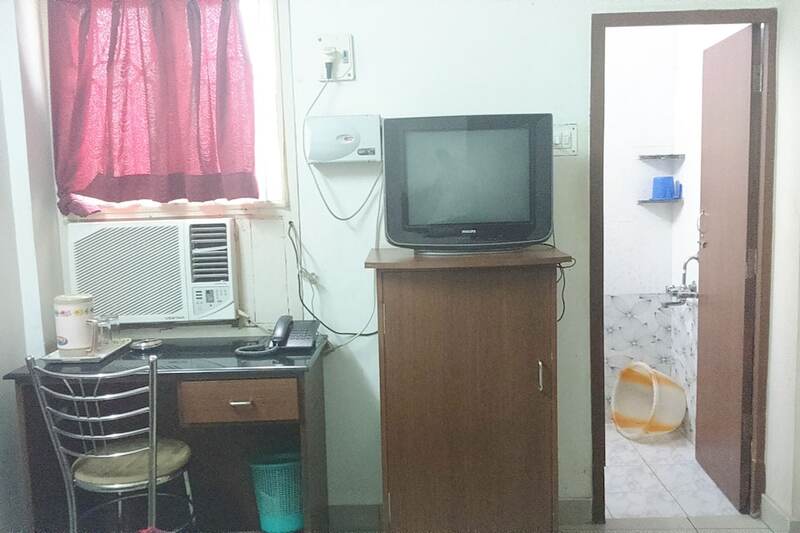 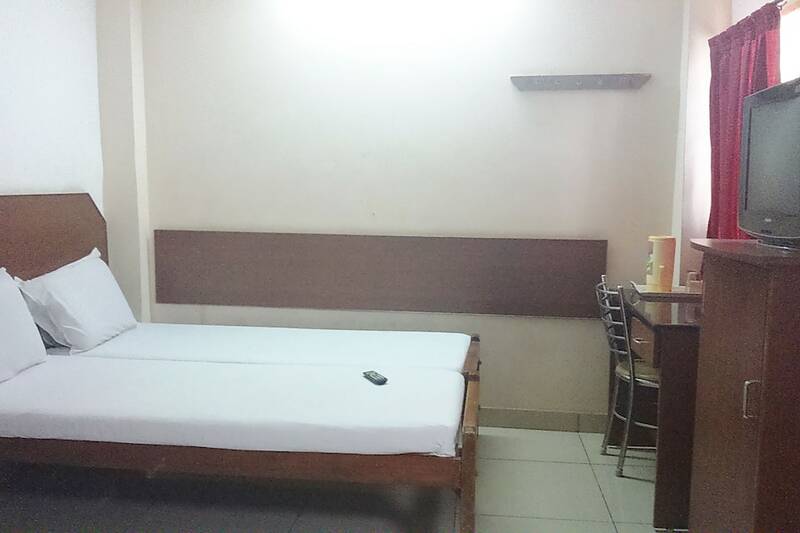 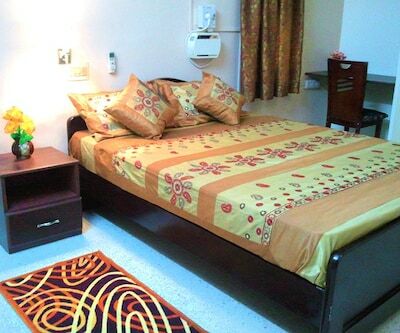 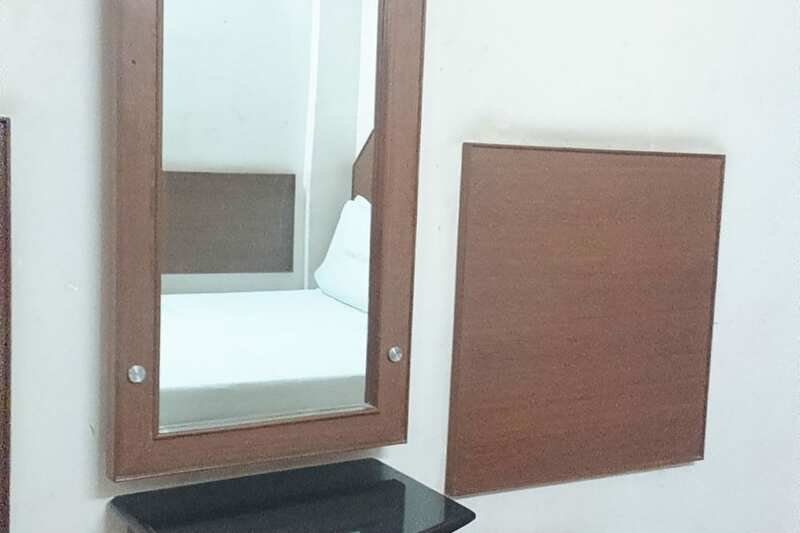 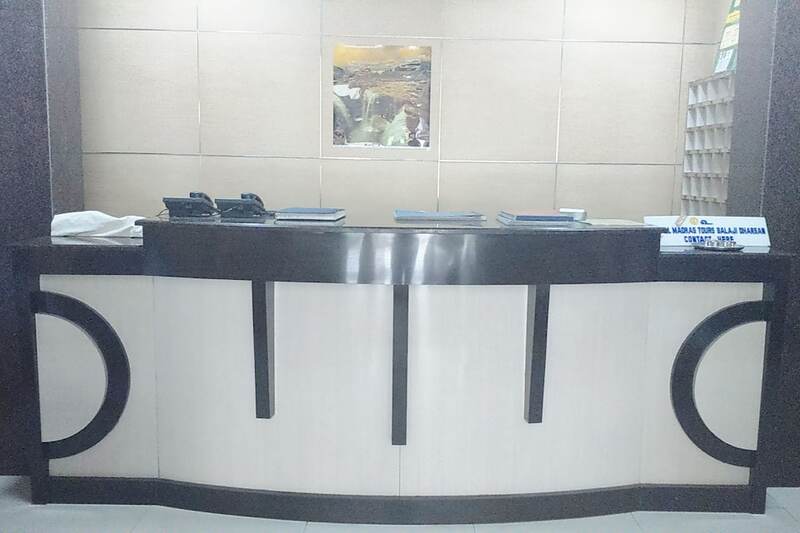 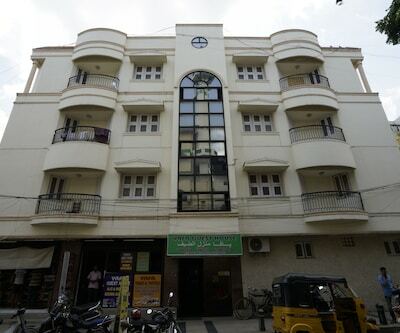 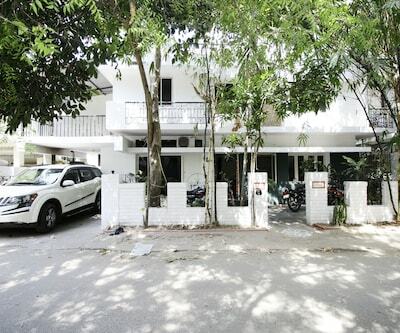 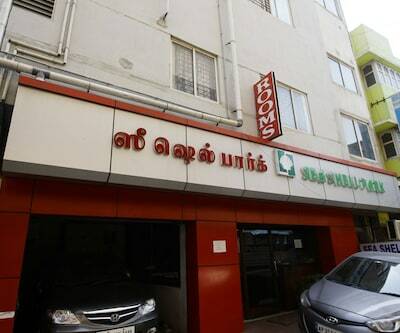 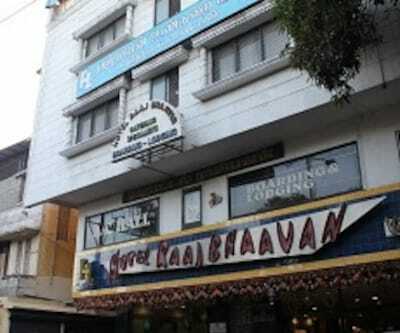 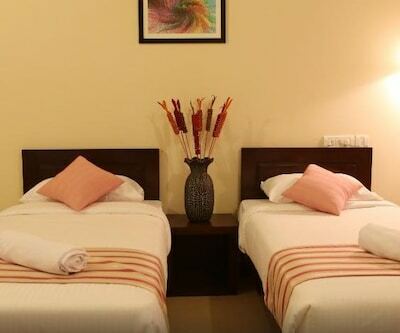 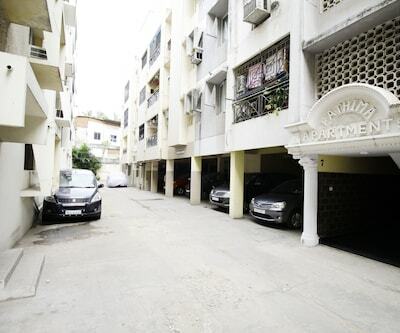 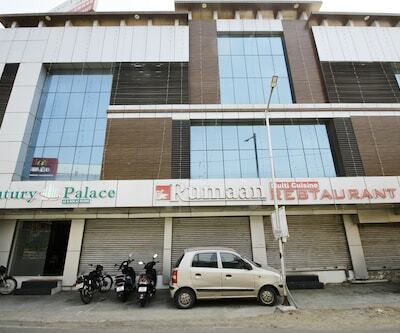 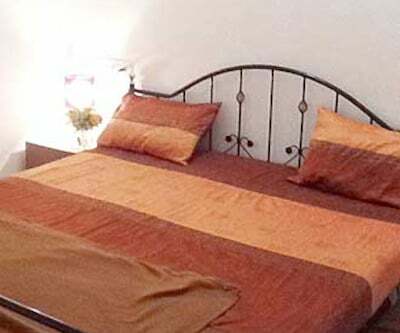 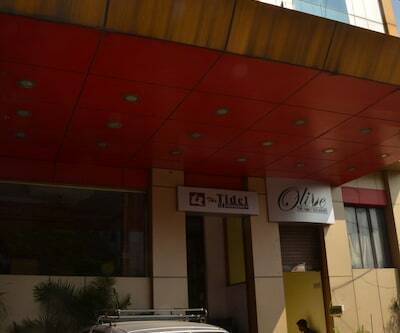 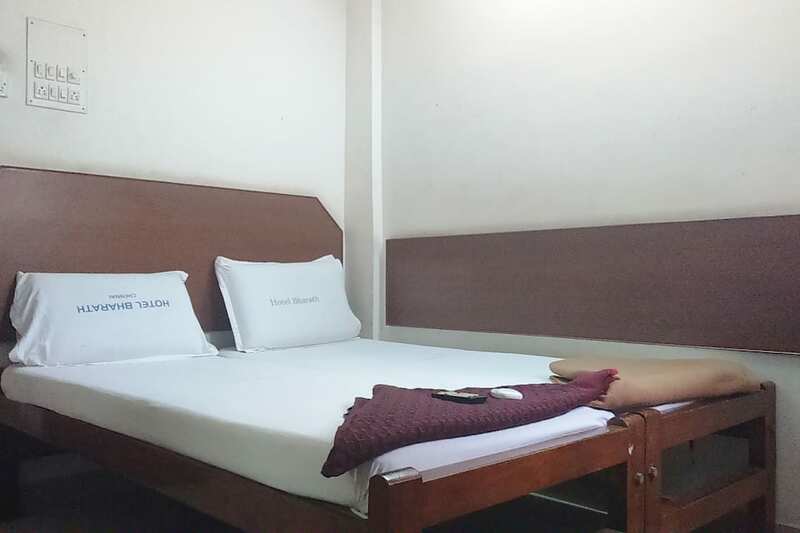 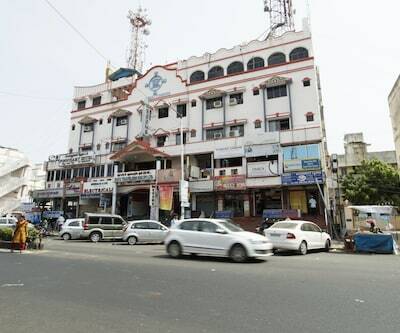 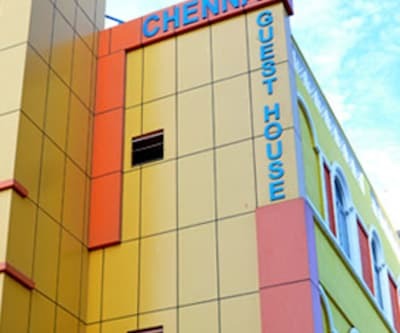 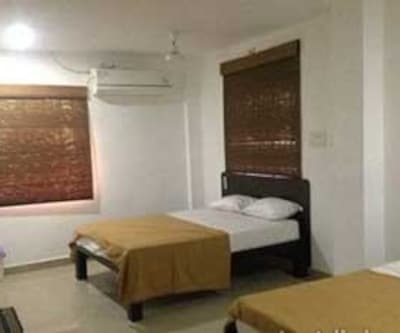 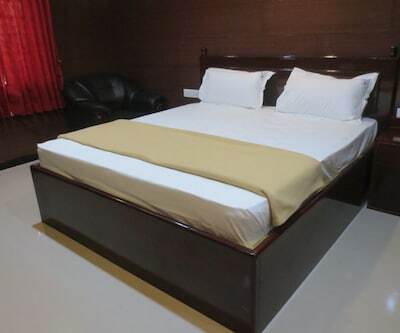 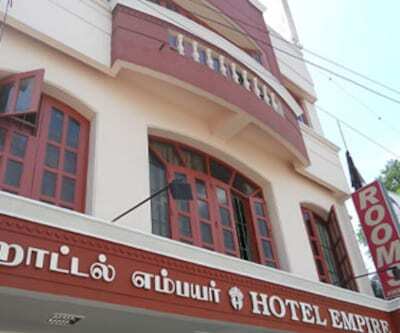 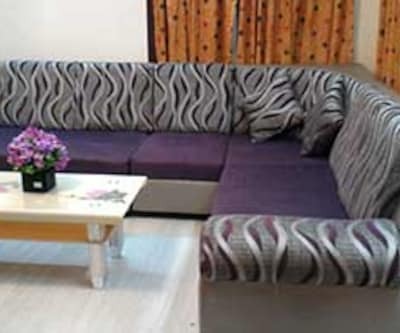 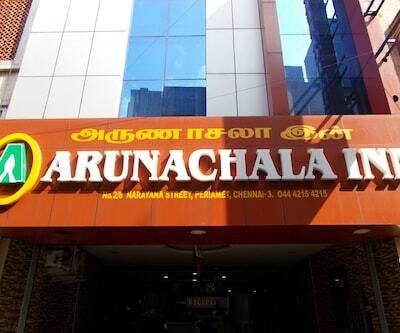 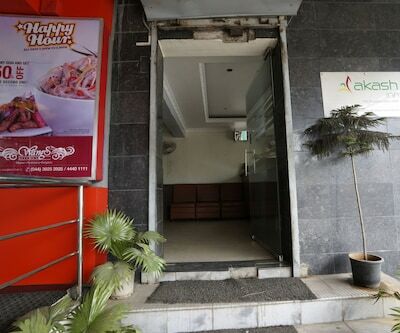 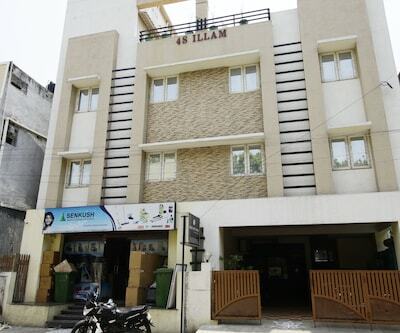 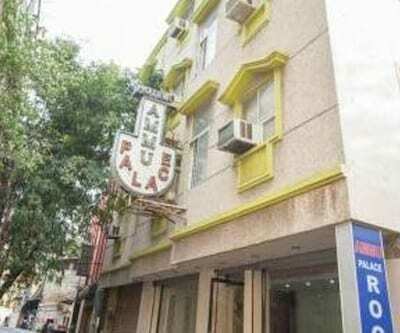 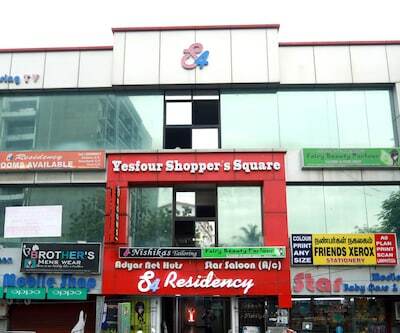 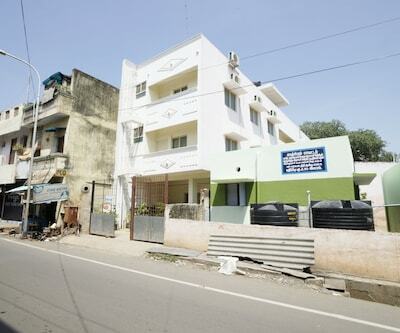 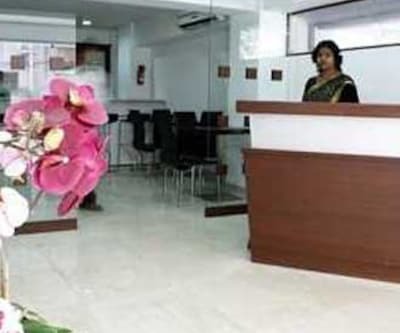 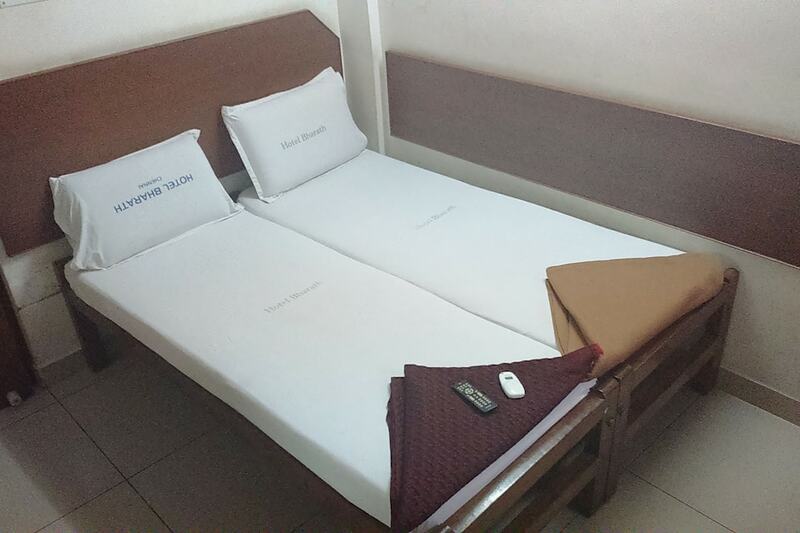 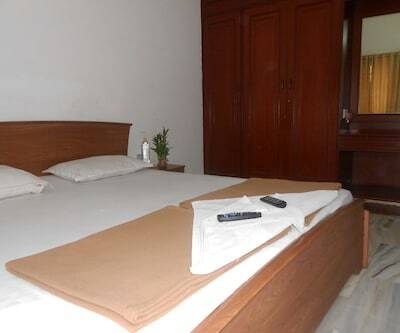 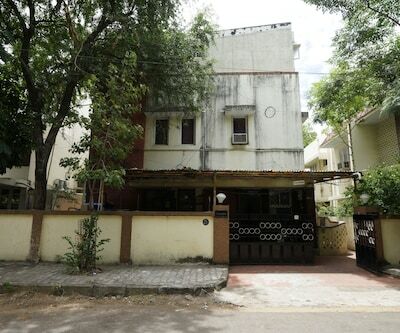 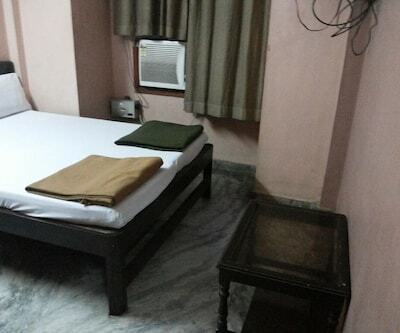 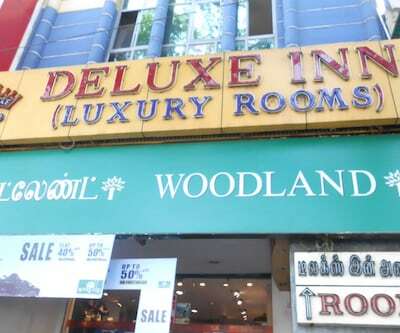 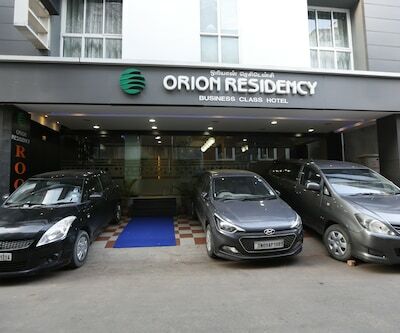 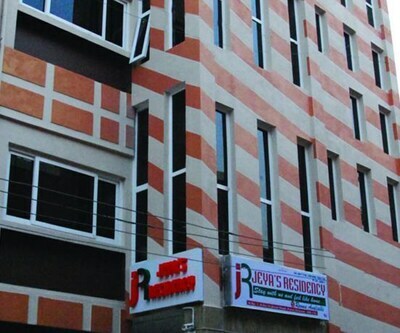 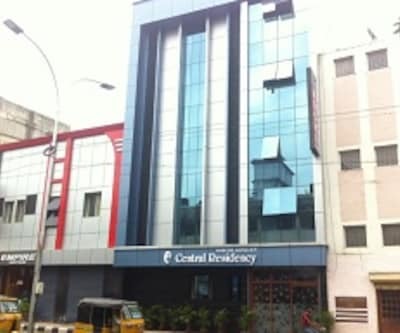 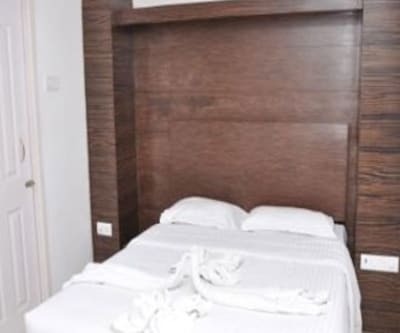 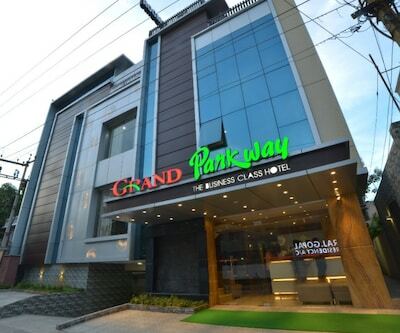 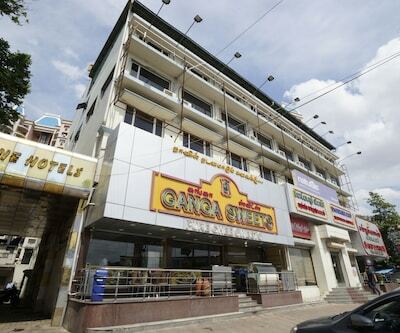 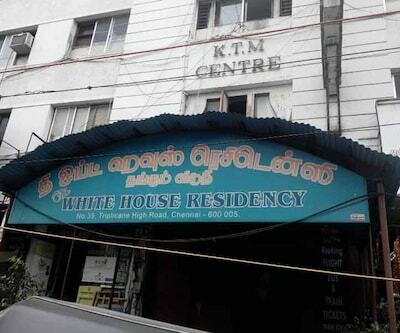 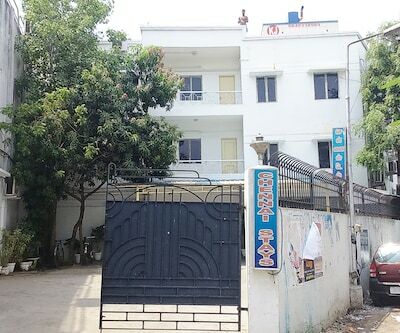 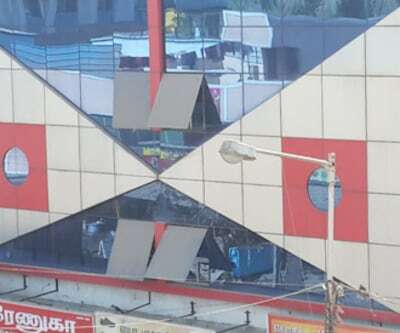 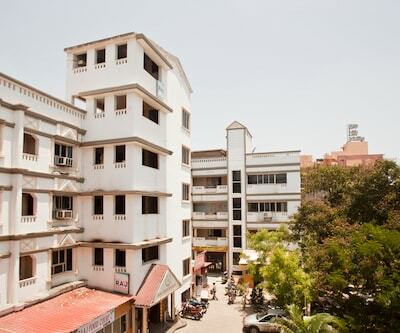 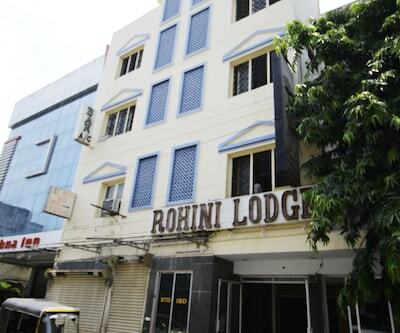 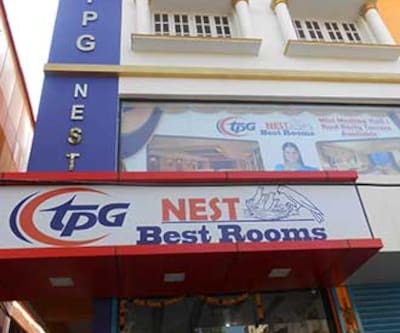 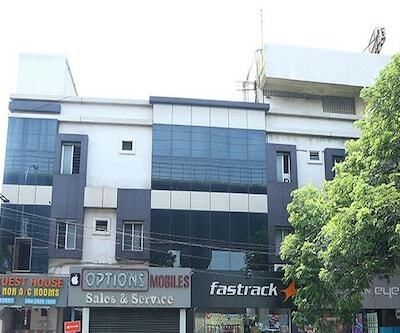 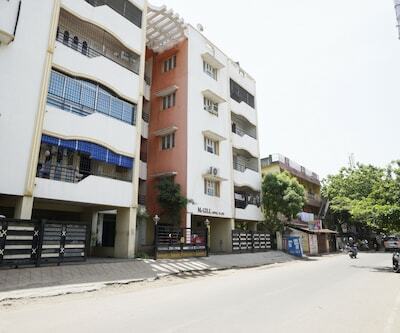 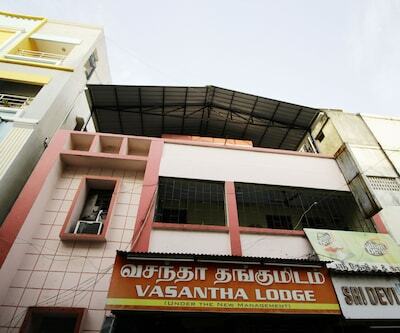 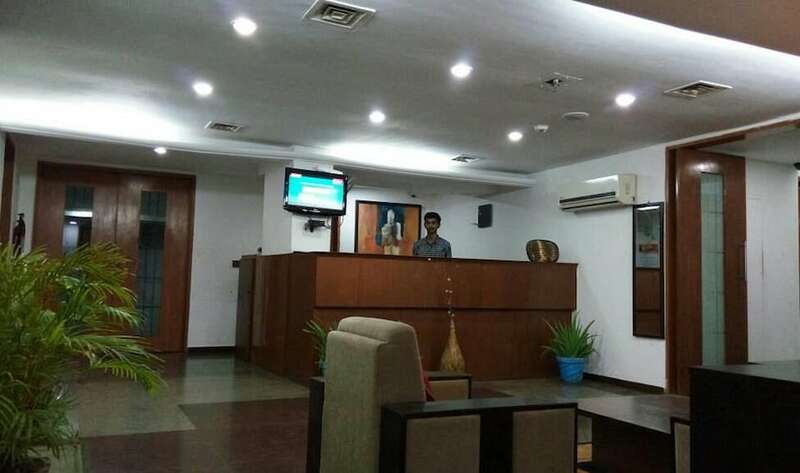 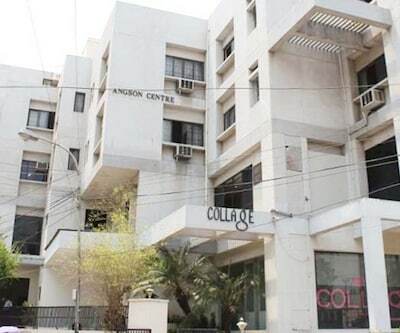 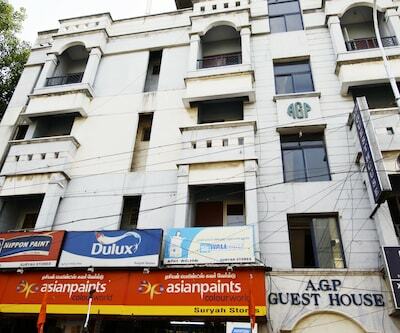 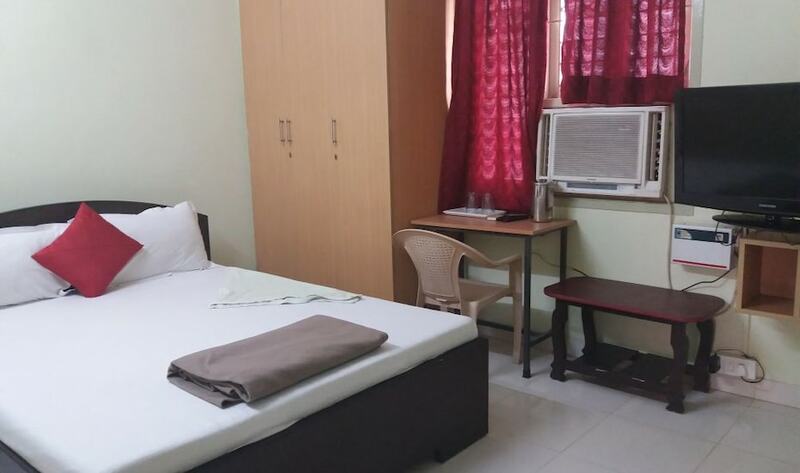 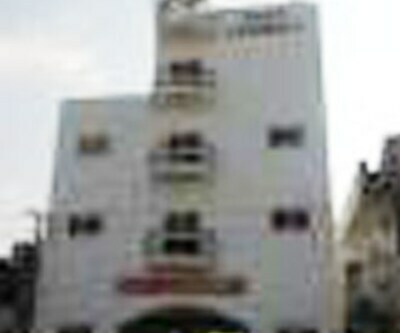 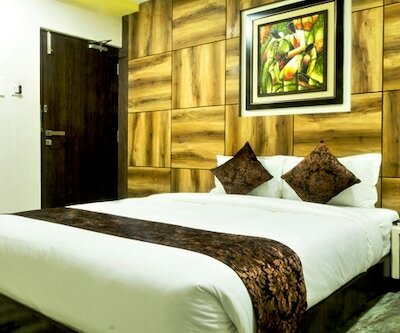 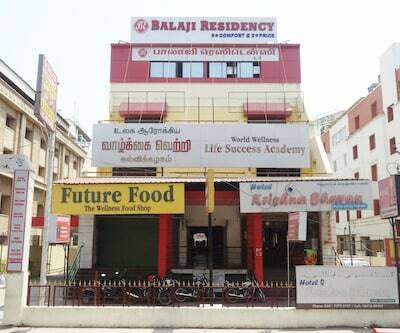 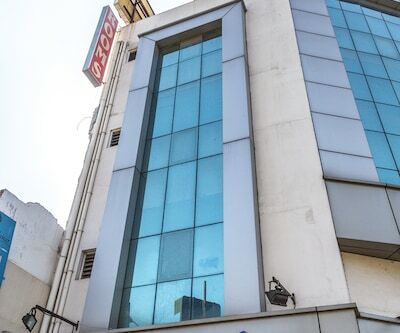 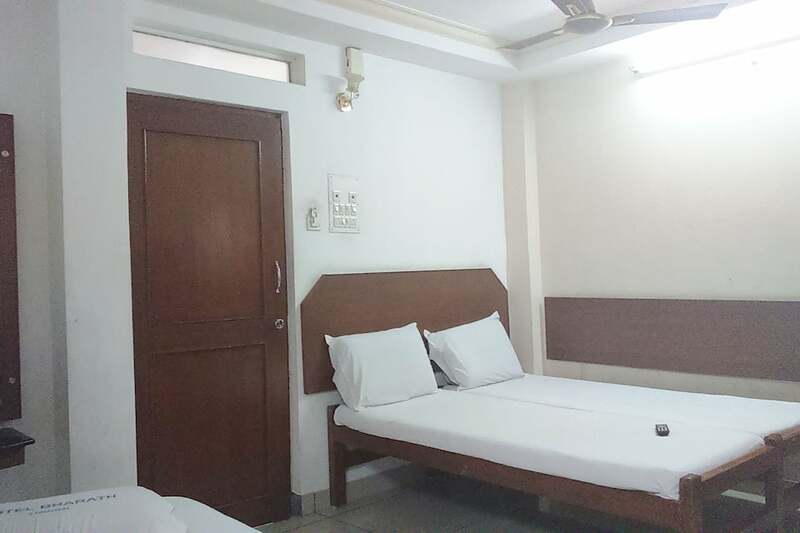 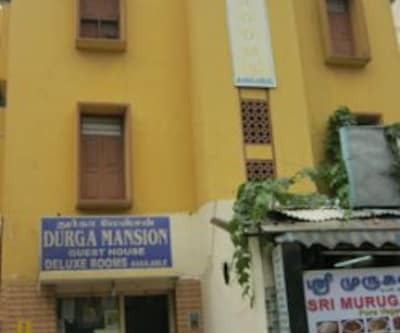 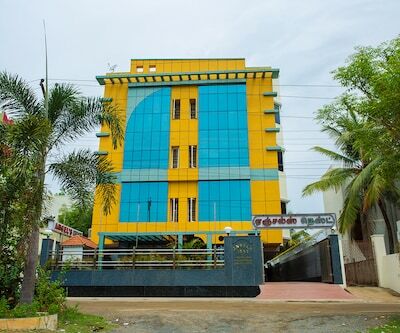 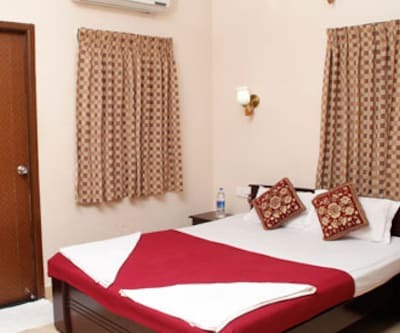 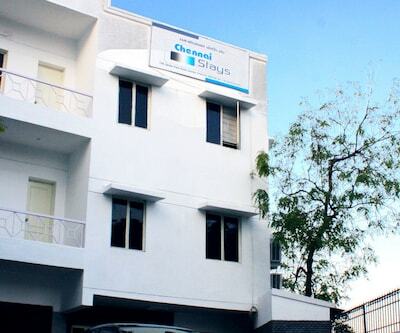 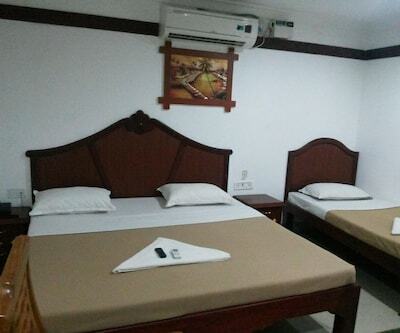 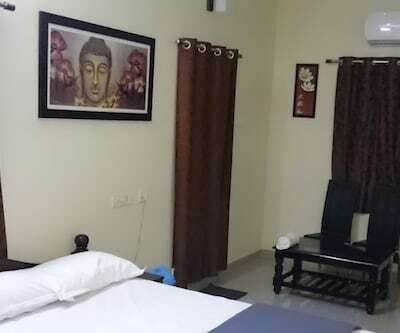 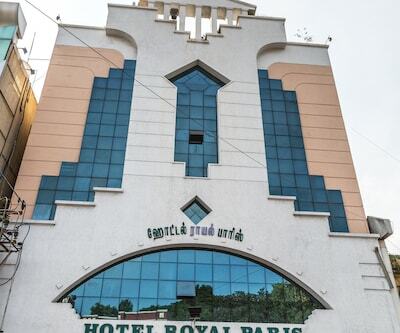 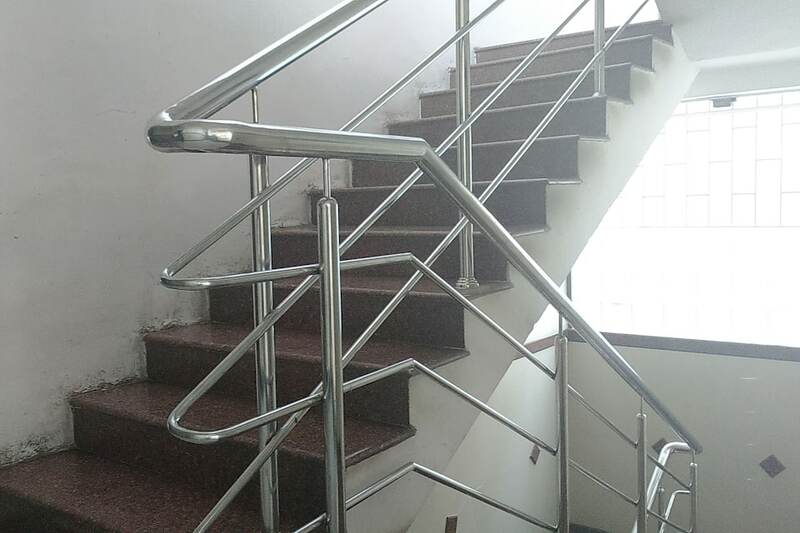 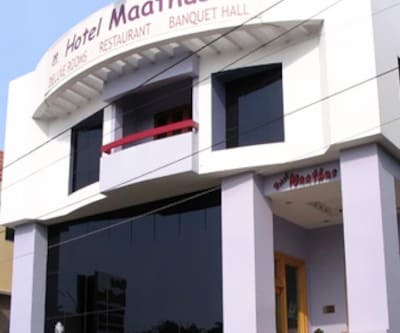 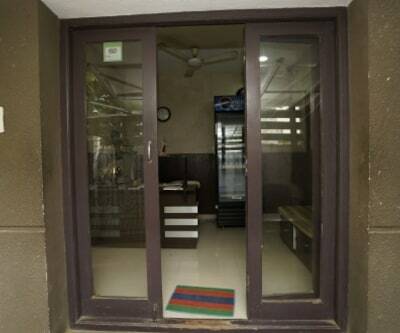 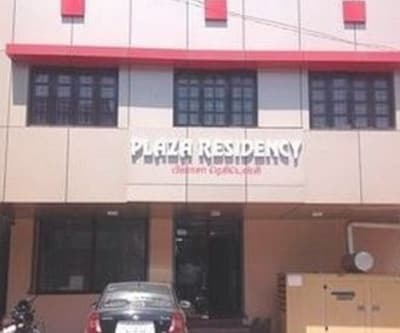 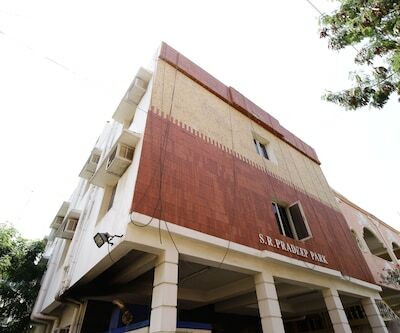 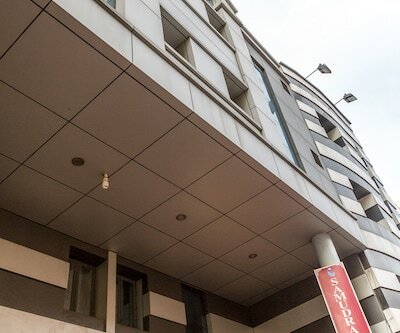 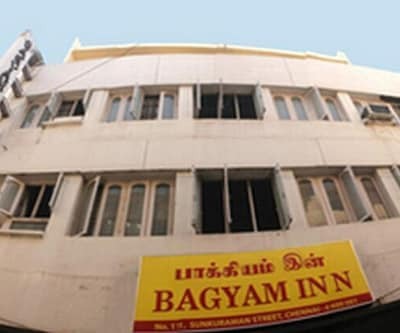 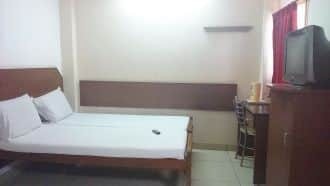 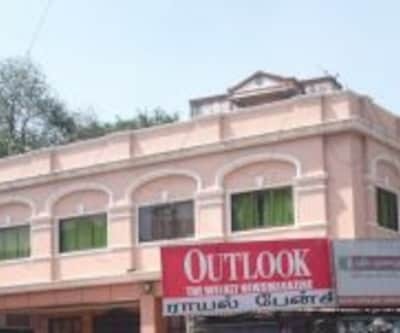 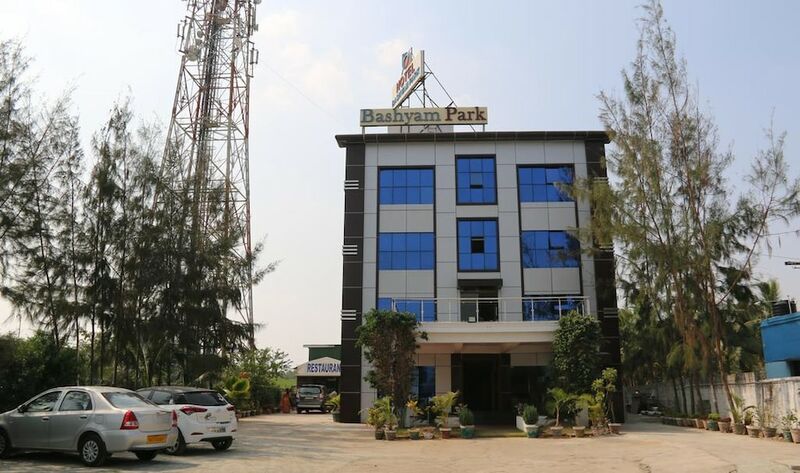 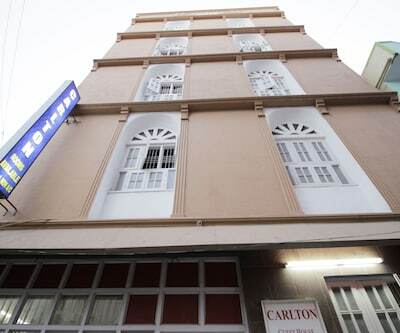 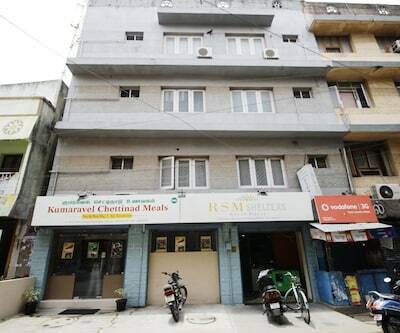 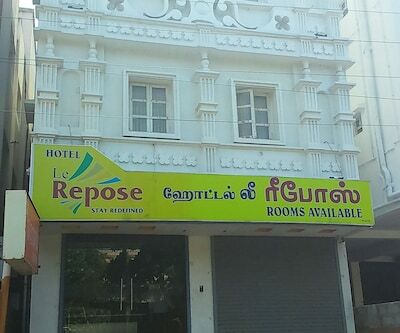 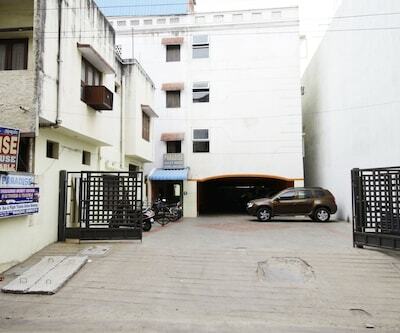 Each room is equipped with a desk and has a bathroom with hot and cold water supply.This Chennai hotel offers round-the-clock check-out facility and provides room service and laundry service.The hotel can also be reached from the Mint Bus Terminus (5 km) and the Chennai International Airport (20 km). 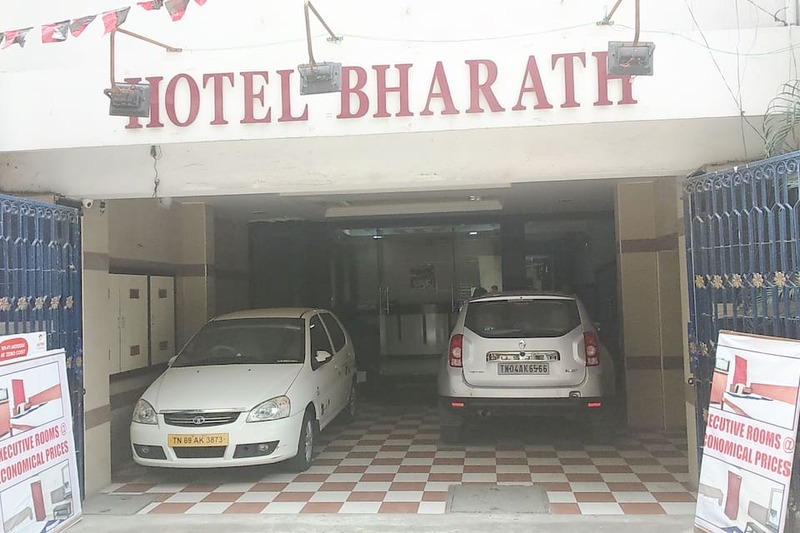 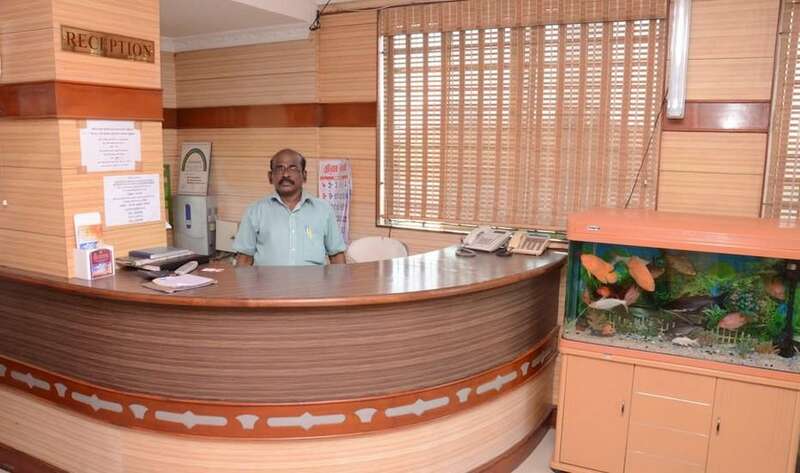 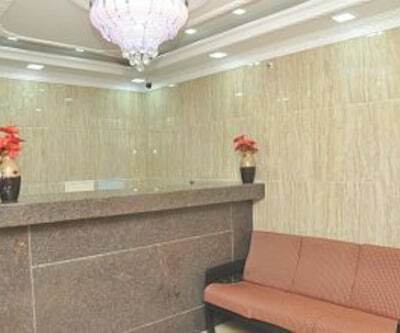 Hotel Bharath also has a front desk and a travel desk. 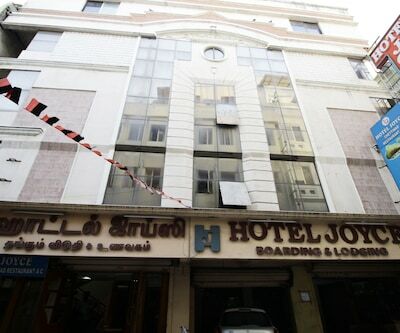 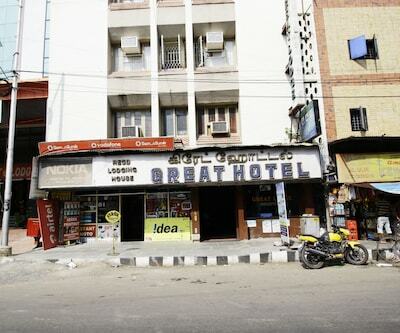 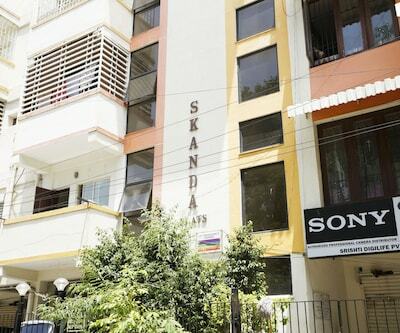 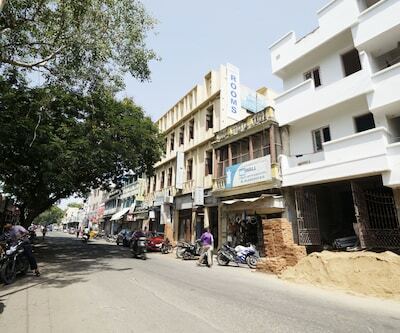 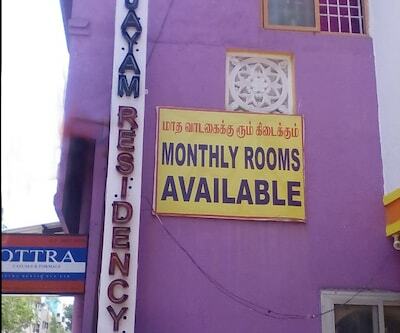 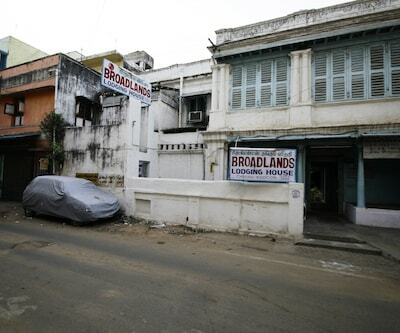 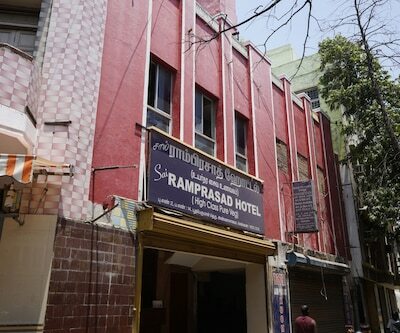 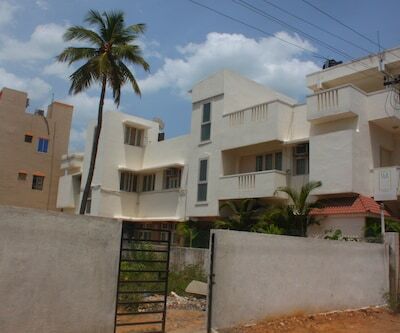 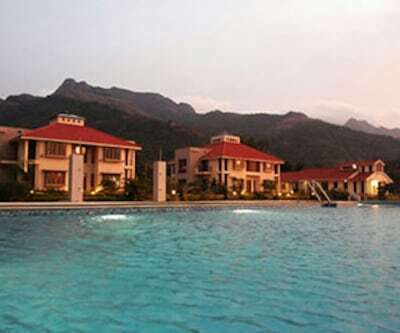 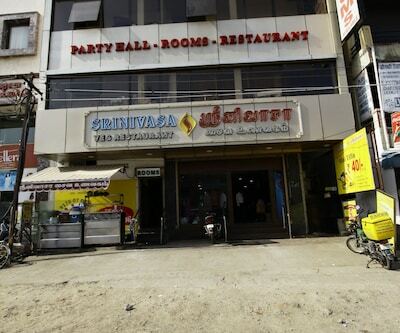 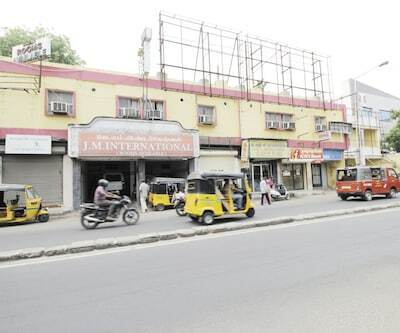 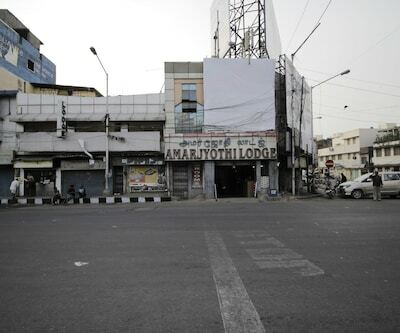 The Iyya Mudali Street is at 1 km from this hotel, whereas the Marina Beach is at 6 km.